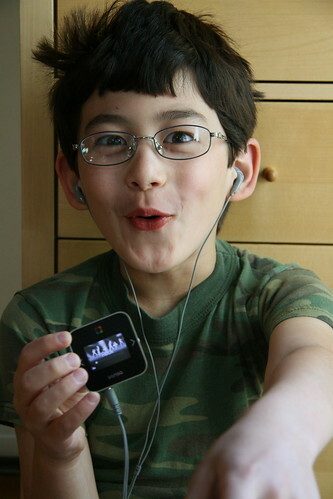 mommy bytes: What is that cool MP3 player that Adam has? What is that cool MP3 player that Adam has? Adam tries out MY Sandisk slotRadio player. To enter to win YOUR very own slotRadio, visit my review and giveaway on contest bytes.